According to Comic Book Movie's newest scoop, the details for the movie's plot and character information regarding Rita, Zordon and Goldar has been revealed. Before reading, do be warned that there will be spoilers up ahead so read at your own risk. So without further delays, here is something that you may need to know about the movie. -Rita Repulsa, the 65 million year-old villain, is a former Green Ranger (thus explaining the green power coin that he wields and if true, confirming fan theories) who went rouge against Zordon, the former Red Ranger. - Alpha 5, Zordon's trusty sidekick, can transmute into different designs to maximize his role. -Goldar's order was to steal the Zeo Crystal, an artifact that channels energies from the Morphing Grid which is the Ranger's main source of power. The crystal is protected by a force field which can destroy anything that comes contact with it. - Rita has been trying to steal the Zeo Crystal in hopes of giving it to his master, Lord Zedd, whose face was burned while trying to steal it. 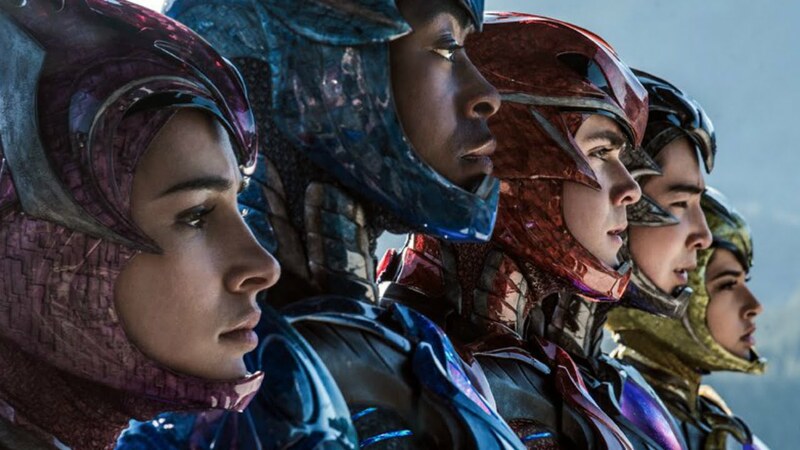 So what are your thoughts about this information on the upcoming reboot of the Power Rangers movie? Again, if this is true or not, besides the potential spoilers, do take this one with a grain of salt. These are not spoilers, these are rumors. I know you often have a hard time differentiating the two, JEFusion, but please in the future do try a little harder to make it clear which is which. There is absolutely nothing to substantiate these as legitimate plot points. Good lord it's like any time I take a chance and get on here to see what's going on, the reporting just gets worse and worse. Do you guys just see everything that gets posted and then decide to spread it without actually doing any research? Let's just wait for the real legitimate synopsis from Saban itself. The zord builder version is a made up version for the toys to keep the kids/collectors happy….sorry Bandia happy with profit. The Megazord thats been shown already the action lights and sound figure is what it looks like in the movie but a bit more colour as they get rid of paint for costing reasons. Like the grey being metallic grey/blue in the film (looks like the alpha 5 concept art). The triceratops is both of the feet/leg parts. Mastodon unconfirmed what part it is yet or if any as there is black all over the megazord. They Combine together like the transformers in the second film but instead of moving gears and parts it the mesh stuff (arms and legs) that grows out of the morphing grid (chest part/trex, red ranger important to the film) to join all of them together. Remember at the end of the trailer where the suits are growing over the rangers, its like that. The megazord is presented as a ranger in itself, its a metaphor for all the rangers coming together in the shape of one begin. Thats why this version of the megazord is made up for the toys as the one in the film is made from an organic transformation instead of a mechanical one. Zords based on/created from alien tech merging with the ancient time (dinosaurs). They are like xeonmorphs from the Alien films or the venom symbiote from spiderman (again like the ending from the trailer). Another metaphor (pitch for the film), how alien the world back then (prehistoric) would look to us now. Morphing Grid is a big thing in the film, the diamond/crystal shape in the middle of the megazord and ranger suits is the morphing grid. Alpha 5 was given eyes so that the audience can connect to it, eyes are the gate way to the soul.﻿ Power/connected to the morphing grid. You do get the ‘ay yay yi yi yi’ but as a little easter egg as he does it once in a sarcy low key tone. The morphers are connected to the morphing grid which is an alien power that grown itself thoughtout angel groove (maybe the rest of the planet) from the original power rangers ship (Command Center) crashing to Earth millions of years ago. Rangers morph by shouting out there power when hands on the morphers (attached to belt) and then the alien power grows out of the morph all over the rangers like the symbiote from spiderman. What you saw on the trailer as well but that was a forced morph (played for laughs). Anyone else notice that the information is referring Rita as a he not a she or am I the only one? Damn. That's actually an interesting plot. I'll put the pitchfork away...for now.